Small, but very picturesque country of Montenegro - not only one of the most popular tourist destinations in Europe. 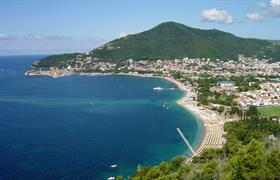 Properties in Montenegro - this is another segment, which annually attracts hundreds of thousands of foreigners. And among them - many fans of comfortable rest, who know that even a small but own apartment in one of the local resorts, will make their vacation not only longer, but also more economical. What affects the price of properties in Montenegro? The real estate market in Montenegro is not only very rich but also very affordable in terms of price. In comparison with other neighboring countries, the cost of housing here differs with democracy. In general, real estate prices here are dependent on several factors. The first factor is the location - the closer the house will be located to the sea or the ski slopes, the more its price will be higher. Last but not least is the year of construction - now there is an active new construction in Montenegro, so you can buy a property on a very attractive price on the primary market. The owners will always win, buying realty in Montenegro even as a holiday home. Firstly, they will not need to depend on tour operators or the season, and all that they need - a plane ticket. Secondly, they can relax much cheaper and longer as compared with those who rest in hotels. Thirdly, flats, apartments, houses, villas and studios in the resorts of Montenegro are in high demand on the rental market and can bring their owners a good extra income. What do you need to buy housing in Montenegro? In order to come to Montenegro, visa is not required. And in order to buy a house here, you must have a valid international passport. Foreigners have the right to buy a secondary and primary housing in Montenegro, inclusive land. But before you invest in land for the purpose of construction, be sure to check the status of the plot, as the country has a territory on which is prohibited to build.